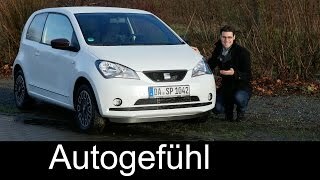 Seat Mii by Mango 2016 is an excellent car. The special feature of the car is that its Seat has been collaborated with design label Mango to create the fashion-focused limited edition Mii city car. 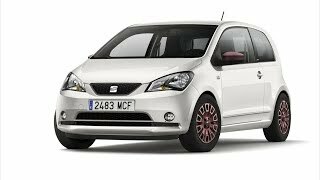 It would add a touch of glamour to Mii. . Let us have a close look at the review of Seat Mii by Mango 2016 and find out all the new stuffs incorporated to make it better than the other models. The interior of Mii by Mango 2016 is impressive and stylish. It has purple trim stretched across the dash, from door to door, and is contrasted by exposed paintwork on the inner skin of the doors. The plastics inside are hard. The gear lever is well positioned and most controls are easy to reach. Talking about the technology, there’s air conditioning of the manual type and a digital display. The interior is also combined with large windows and small pillars, which gives great visibility. It is well built, well appointed, surprisingly spacious inside and always useable. The seats are of good size and provide decent support for one's shoulders and legs. With seat height adjustment, there is a rake-adjustable steering wheel to provide comfort. The exterior of Mii by Mango 2016 is quite good and beautiful. It is aided with five doors with rear doors opening to 90deg angle. The catwalk model is set apart by an Oryx white paint finish, contrasting purple door wing mirror housings, LED daytime running lights and unique 15in alloy wheels with velvet highlights. The boot of the model is rather high and has 251-litre capacity. 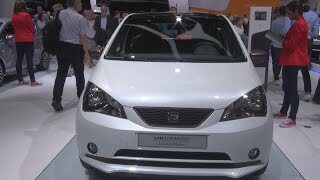 In all Mii by Mango 2016 is a simple basic model with some superb standards and impressive look. Mii by Mango 2016 has 1.0-litre petrol engine which, officially claims 61.4mpg and emits just 106g/km of CO2, meaning it falls into the 18% banding for company car tax. The engine sometimes needs to be worked hard in order to get the best from it. The three-cylinder unit beneath the bonnet produces joyous sound which is enjoyable to hear. The top speed of Mii by Mango 2016 touches the mark of 106 mph while the 0-62 mph sprint can be knocked in 13.2 seconds.